For Indian teenagers, the pressure to excel in a country of 1.3 billion people is immense. And at no other time do these pressures metastasise more than in the month of April: exam season. This is when the nation’s brightest minds sit the examinations that will determine whether they secure entrance to one of India’s prestigious Institutes of Technology (IITs), medical institutes, or business schools. They dream of becoming engineers, dentists, or doctors. But with only 23 IITs in one of the most densely populated nations on Earth, and vastly over-subscribed dental and medical colleges, competition is intense. To prepare, students from across India travel to the historic northern city of Kota, spending months or even years away from their family and home. Whether the children of manual labourers or business tycoons, all have travelled to Kota for one reason: academic glory. Kota is the epicentre of India’s private coaching industry. Here, students enrol at one of the many for-profit residential institutes that prepare teenagers for their university entrance exams. For months, even years, teens who’ve barely left their parental homes before living alone, in austere hostel rooms, cramming morning, noon, and night in the hope of a secure, financially lucrative future. They leave their hostel rooms early in the morning to avoid the midday heat and walk down cracked pavements to stuffy classrooms, where they crouch over desks. At lunchtime, they wolf chutney-filled dosas before returning to their desks to cram some more. The most studious return to their hostel rooms and study alone, well into the night. But most of the teenagers who come to Kota, this effort proves futile. And for some, the threat of failure can prove psychologically overwhelming – and even fatal. 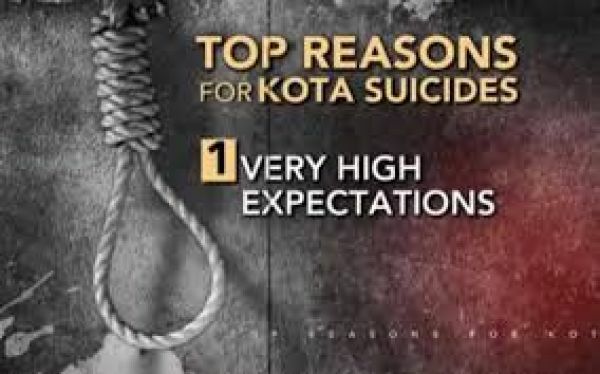 In recent years, Kota has earned a more unfortunate reputation for a spate of suicides. From the start of 2014 to November 2017, 45 Kota students committed suicide. So far, at least three people have taken their lives in 2018. Many of these deaths were the result of hanging by the ceiling fan. Like 17-year-old Amandeep Singh, from the Raigarh district in Maharashtra, who committed suicide in 2017. Or 18-year-old Niharika Devangan, who died in January this year after three years in Kota, preparing for medical entrance exams. But this particular suicide method isn’t limited to Kota alone. According to 2015 figures from the National Crime Record Bureau, hanging accounts for 45.6 percent of all suicides in India. There is no easy solution. But engineer Sharad Ashani believes that he might have one answer to India’s teen suicide problem — and it’s a simple bit of kit. But as with many deceptively simple offerings to complicated social problems, not everything is as easy as it might appear. Ashani is candid about his struggles to get his Smart Fan into wider circulation. “I was expecting a huge demand for the product, but so far it’s not coming through,” he explains. “Unfortunately, safety in India is always everyone’s last priority.” Whilst Ashani has succeeded in getting the Kota Hostel Association, which consists of 2,000 hostels across the city, to pledge to install the devices, not everyone is on board: he provides a list of hostels that have refused to instal the fan. “I’ve been producing the fan for eight months, and I was expecting the production would shoot like anything, but I’ve sold only about 1,000 fans so far,” Ashani says, blaming institutional apathy for the Smart Fan’s limited success. “Hangings happen, and people think, ‘Oh, we must see what we can do’. 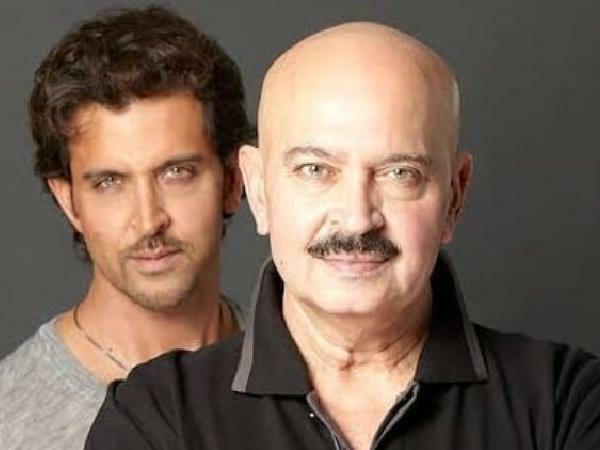 Then people forget, and another hanging happens,” he says. “People make inquiries but when it comes to collecting the orders, they back out.” Right now, Ashani is looking for an NGO to help sponsor a wider roll-out. Despite his enthusiasm, there is little evidence to suggest that novel inventions such as Ashani’s have any impact. Institutional apathy aside, suicide prevention technologies are a novel (and media-friendly) approach to a complex social issue, albeit one with limited effectiveness. Often targeting specific suicide hotspots can be useful as a short-term solution. At Niagara Falls, authorities have set up a suicide hotline to deter would-be jumpers, whilst in Japan’s Aokigahara forest, dedicated volunteers prowl the woodland in the hope of preventing people from taking their lives. The evidence is that these measures can help. Crisis hotlines, in particular, do work: Distress and Crisis Ontario, which administers suicide prevention services around Niagara Falls, reports that in 2017 92 percent of callers ringing their hotline were de-escalated from suicidal behaviour without involving emergency services. And a 2017 evidence review of suicide prevention apps concluded that “apps are an essential tool that can help us to prevent suicide”. Fans aren’t the only technology being used in an attempt to save lives. Largely in response to widespread media scrutiny of Kota’s teen suicides, authorities and regulators have been struggling for a response. Biometric scanners have been installed in many hostels, and a helpline for anxious teens to call has been set up. “Around 500 to 600 hostels have installed biometric attendance machines,” says Manish Jain of the Kota Hostel Association. “When students enter and leave their hostels, a message is sent to their parents telling them whether they’re arrived or left. It’s much better for students and parents. Parents are less stressed.” But suicide prevention expert Vikram Patel of Harvard University’s department of global health and social medicine isn’t convinced by biometric scanners. “I don’t think we have sufficient evidence to suggest the utility of biometric technologies at this time,” he says. Whether fans, biometric scanners, or hotlines, these stop-gap solutions are, just that: they stop immediate loss of life but don’t address the underlying issue. Unless emergency initiatives are complemented by a full suite of mental health interventions and large-scale government initiatives, they have limited effectiveness. But Kota’s suicide problem is likely a simulacrum of India’s growing mental health crisis. The nation as a whole has one of the world’s highest youth suicide rates. According to a 2012 Lancet report, suicide is the second-leading cause of death amongst young Indians aged 15-29. Despite these figures, India only spends 0.06 percent of its health budget on mental health care, compared to the four per cent or more typically spent by developed nations. For now, ceiling fans — whilst a well-intentioned response to a real problem — will only have limited impact on India’s suicide crisis. The real solution? Sustained investment in mental health initiatives from an early age, and cultural change. Nadalia sits his exam in days: he’s sanguine about his prospects. “If I don’t get in, it’s okay,” he shrugs. “Life will go on.” Meanwhile, Ashani will continue trying to sell his fans, one at a time if necessary. “My mission is to save lives,” he says.